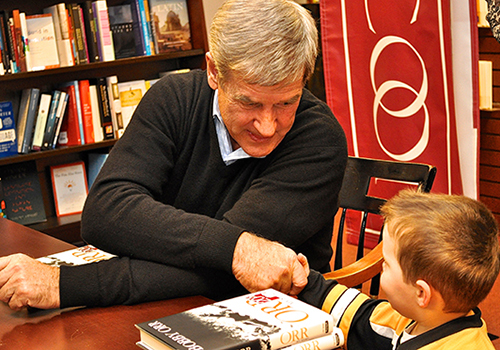 Hockey great Bobby Orr shakes hands with one of his littlest fans at a recent book signing at The Harvard COOP bookstore in Cambridge, Massachusetts. There isn’t a hockey fan alive who doesn’t revere the name Bobby Orr. Considered one of the greatest players to ever skate on ice, he led the Boston Bruins to two Stanley Cup titles and garnered nearly every honor professional hockey has to bestow. He was the first player to win three consecutive MVP awards and the first defenseman to score 20 or more goals in a single season. He has also won the Norris Trophy eight times, the Hart Trophy three times, and had six seasons of 100 points or more, resulting in his early induction into the Ice Hockey Hall of Fame at the age of 31. Orr recently made an appearance at The Harvard COOP bookstore to promote his New York Times bestselling autobiography, Orr: My Story. A private person, Orr has never written a memoir, authorized a biography or spoken to journalists about his life – until now. 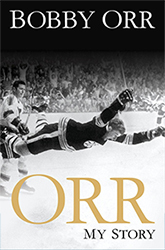 In his new book, Orr reveals what inspired him to play and what it was like for a small-town boy to suddenly land in the media spotlight. He also talks publicly for the first time about his agent, whom he regarded as a brother, who betrayed him and left him in financial ruin, and what he thinks about the game of hockey today. The bookstore also ran a ‘Retweet Contest’ on Twitter. 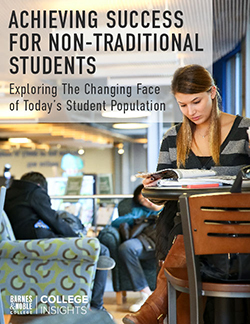 If followers retweeted the message about the book signing, they were eligible to win a free, autographed copy of the book and two premium-seat tickets to the Boston University-Harvard hockey game in January – tickets worth their weight in gold to Boston hockey fans.